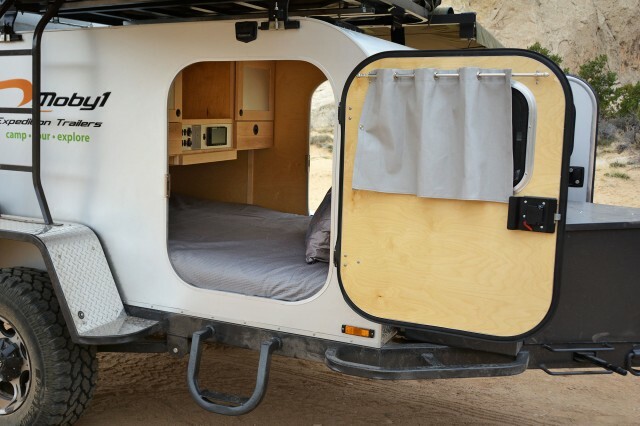 The boxy Benroy-style Moby1 XTR teardrop first caught my eye at Overland Expo 2013, and I had been hoping for the chance to examine their trailers in closer detail ever since. 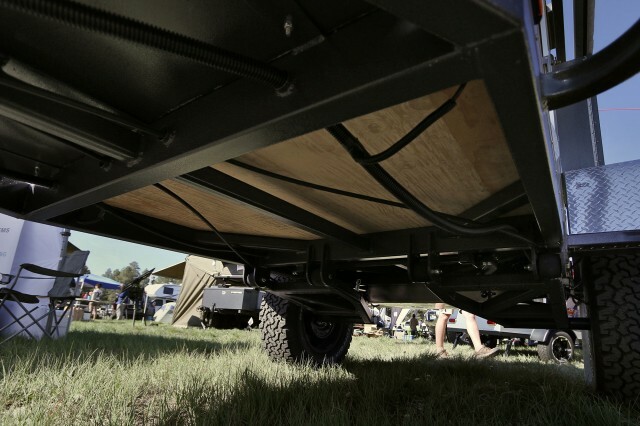 The opportunity finally presented itself at this year’s Expo where I spent the better part of Saturday morning crawling underneath, inside, and on top of the trailer and chatting about the specifications with Ashley, the builder. 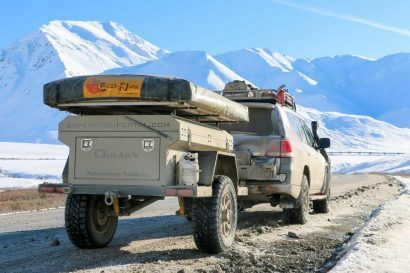 The XTR’s structure is impressively rugged and it’s systems luxurious, yet somehow Moby1 has managed to keep the starting weight at a mere 1,500 lbs. (2,600 lbs. fully loaded). 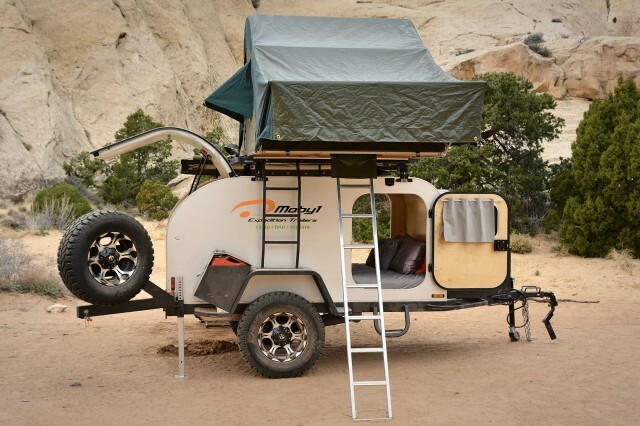 Here’s a look at what the Moby1 XTR has to offer. 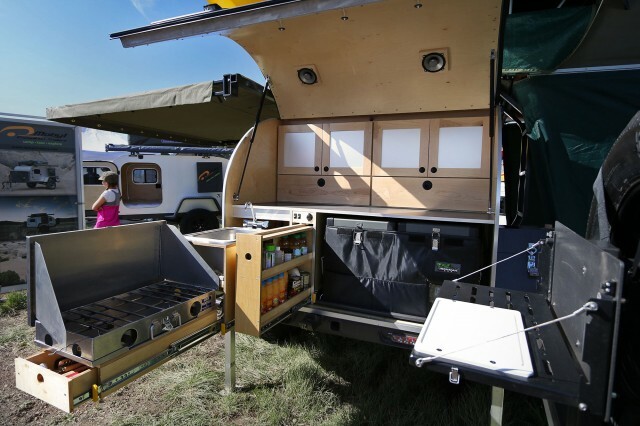 Popping open the rear hatch of the XTR reveals a well thought out galley, complete with sink, stove, freezer/fridge, 12VDC power outlet, slide-out pantry, and ample counter space. 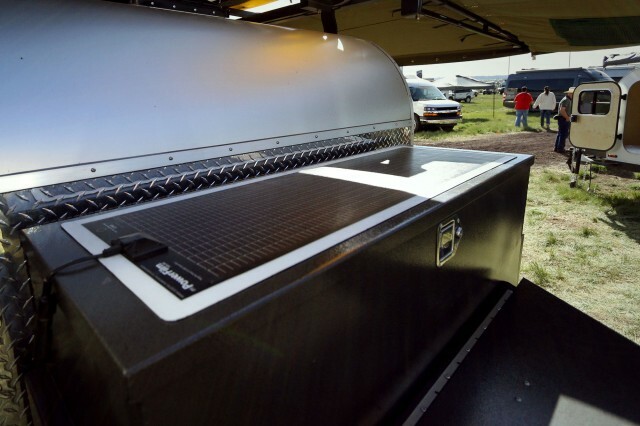 Recessed lighting and speakers are located in the hatch, and a propane-fired tankless water heater provides on-demand hot water. 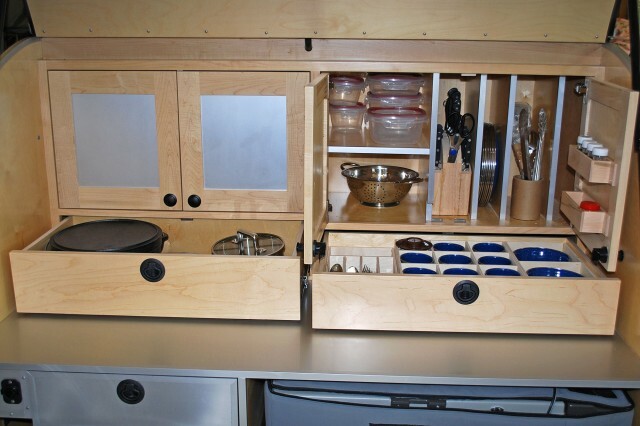 The drawers and cupboards feature enough organization to satisfy even the most obsessive-compulsive gourmet. Moving inside, the sleeping quarters are surprisingly spacious. 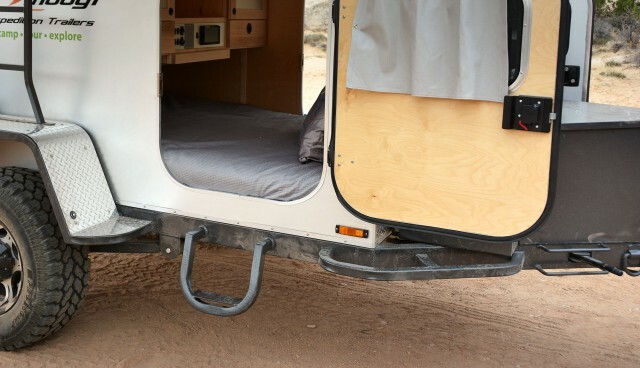 A convenient removable step slides into the frame to make the climb into the queen-sized mattress a breeze. The forward console offers three storage cubbies, two drawers, and a control panel for lighting, power, and the stereo system. 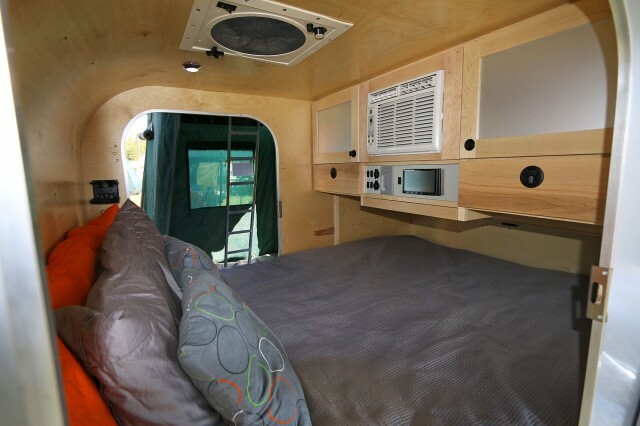 Recessed lighting and speakers are also present inside, and available options include forced air heating or air conditioning (at the expense of one storage cubby). 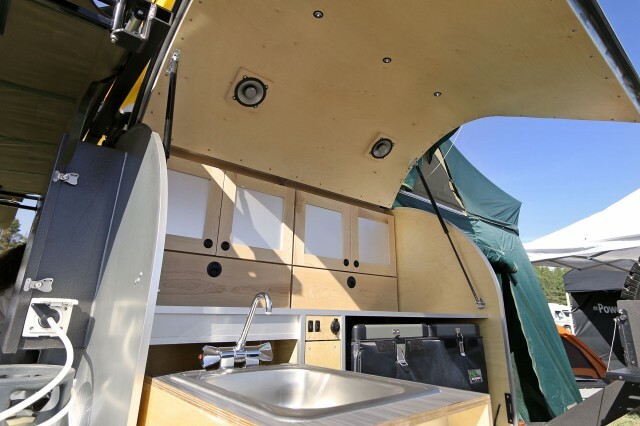 Extra storage space is available from a massive box forward of the sleeping quarters, which provides additional slide-out and top accessible space (perfect for an additional fridge). 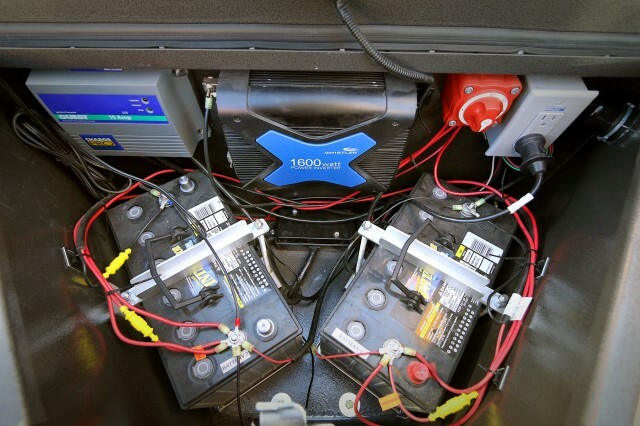 The nose box contains dual batteries and the majority of the on-board electronic systems, and an optional PowerFilm solar panel keeps the batteries topped off. 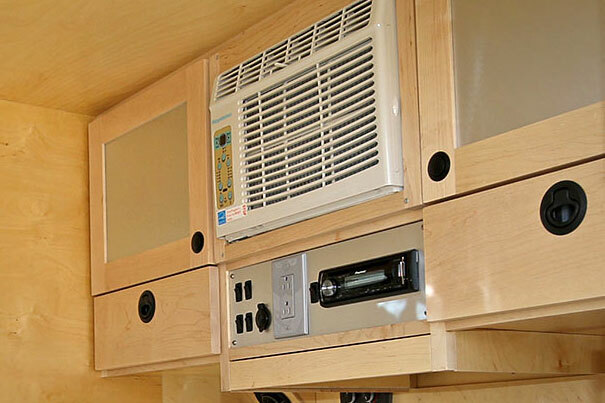 A compartment on the left side of the trailer protects the on-demand hot water heater and outside shower. 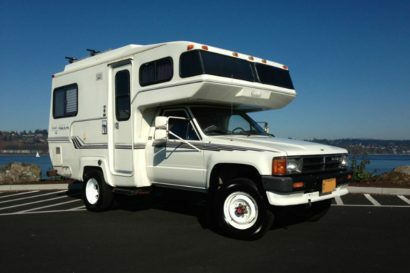 Far to many options and features are available to list here, but the highlights include a heavy-duty roof rack, rooftop tent, roof access ladder, jerrycan storage, swing-out tire carrier (with more flip-down counter space), and a free-standing awning with wall system for even more enclosed living space. 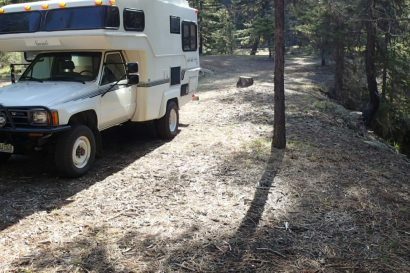 The trailer’s frame is built out from a continuous bar of receiver hitch stock which runs the entire length of the trailer. 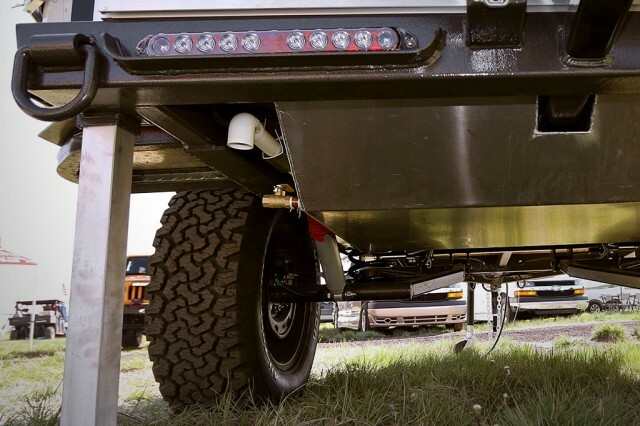 This provides a hitch at the rear of the trailer which can be used for additional cargo or racks, but is also stout enough to recover both the trailer and tow vehicle. 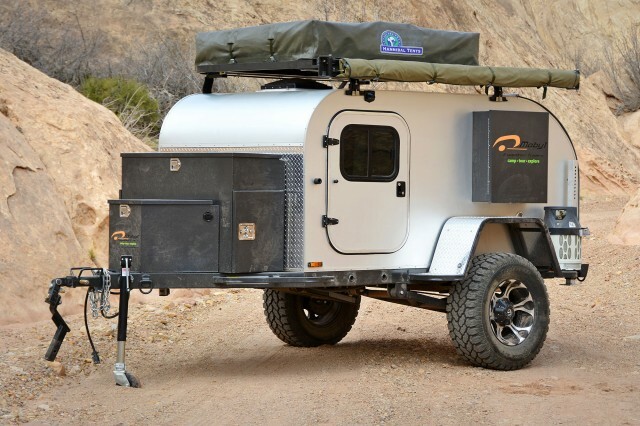 Additional protective bars and recovery points are provided at both the front and rear of the trailer, and the load-bearing fenders double as rock rails for the sides. 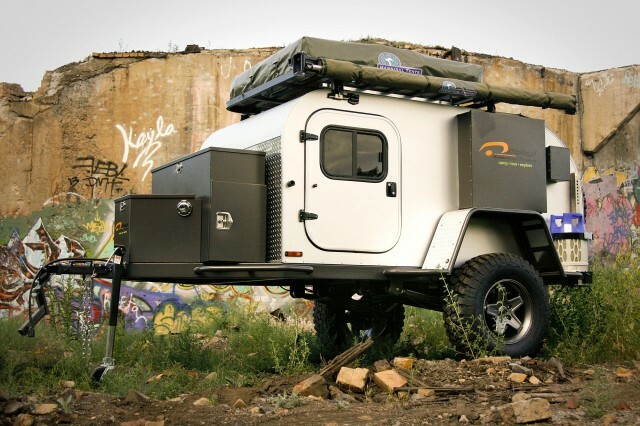 All vulnerable components are neatly tucked up into the frame or armor plated, including the massive 36-gallon water tank. 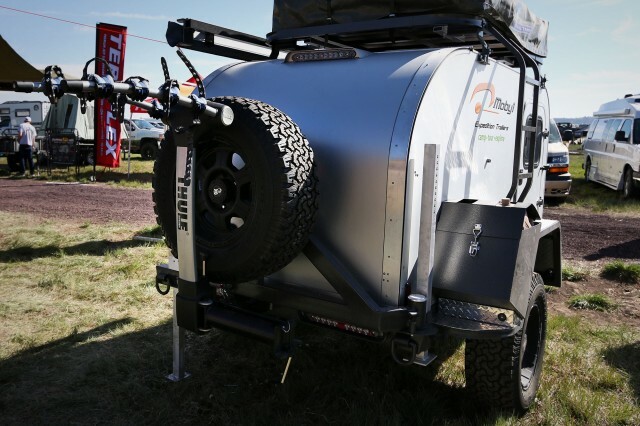 A manual parking brake and stabilizer jacks are provided so the XTR can be easily left behind at basecamp. 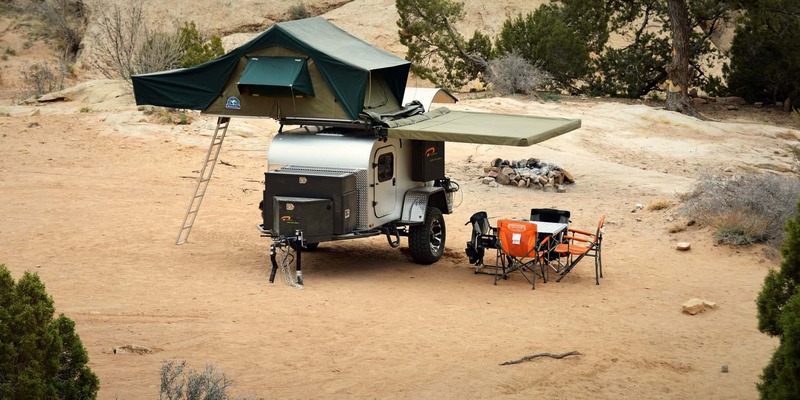 All of this rides on a heavy-duty, trailing A-arm, coil spring suspension which provides up to five inches of travel, and adjustable shocks help fine tune the suspension’s performance to the terrain and load. 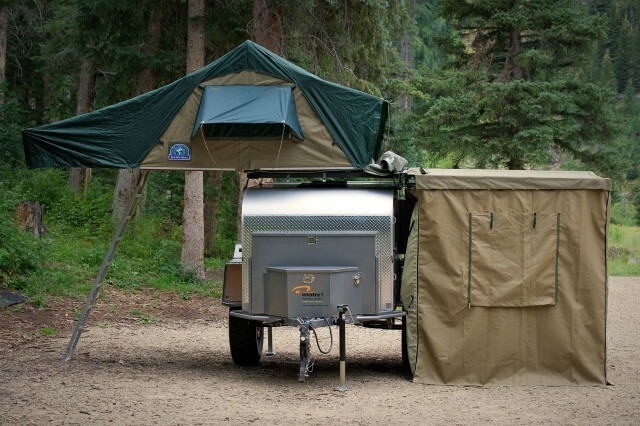 For a complete list of specifications, options, pricing, and additional details contact Moby1 Expedition Trailers at 801-872-4054 or visit moby1trailers.com.